Guest essay by Spenser Tang-Smith, Chief Operations Officer, WebGreek, Inc.
Go to any fraternity or sorority website and poke around for a bit. I promise that there will be an obvious link to “famous alumni” or something like that. You’ll no doubt find a list of actors, athletes, business tycoons and politicians who were initiated so many years ago, listed as evidence of an organization’s awesomeness. I want to question the wisdom behind this tacit assertion. Any group of people has winners and losers, gods and clods, or whatever you want to call the left and right ends of the bell curve. Yes, presidents and senators and athletes belonged to some fraternity or another, but if a group is to be judged by its extremes, you’ll have to take the bad with the good. I doubt an organization would trumpet its more nefarious graduates. If the purpose behind this practice is to add a few cherries on the brother/sisterhood cake, then that’s pretty cool. Besides the good times, the service, and the lifelong friendships, members can add “hey, So-and-so is also an brother/sister.” But an organization cannot simply mention a few big names and say “’nuff said,” because those big names are the outliers. What will the organization do for me? I just don’t think that identifying exceptional people who were in your organization is sufficient to identify your organization as an exceptional one. That is why I feel that the more relevant and powerful statistics revolve around the ways in which going Greek nurtures success. The notion that Greeks account for so many wildly successful people while being such a small percentage of the population is interesting, but did the organization make the people successful, or were they destined for fame anyway? I know that Omega Psi Phi didn’t give Shaq his 7’1” frame. 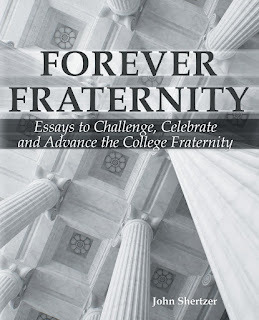 The ability to demonstrate that going Greek turns hard-working people into exceptional people would be very powerful. I have found that testimonials from members who chalk up their confidence, leadership, and sense of responsibility to their Greek experience, with specific examples rather than platitudes, are much more powerful recruitment tools than any appeal to celebrity. Case in point: the WebGreek team, which made me reconsider my decision not to rush. If the goal is to get numbers up by attracting quality men and women, wouldn’t it be better to appeal to a broader demographic of driven individuals, and then cultivate and nurture them? Joining a fraternity or sorority won’t get you to the NBA Finals or the White House; both feats require a whole lot of work. I think that the marketing focus during recruitment, and also when making the case for the Greek movement, should be on demonstrating the ways in which your typical high achiever will be nurtured and supported by the organization so that they will be the best that they can be. Don’t just rely on a few recognizable names of people who graduated long ago. Make the connection between membership and enhanced success obvious, even to those who aren’t natural born leaders or freakish athletes. Spenser Tang-Smith is the head writer for WebGreek's blog. WebGreek is a complete online management solution for fraternities and sororities, and is giving away free trial networks for the summer. There has been a great deal of negative publicity for the sorority community lately, specifically caused by media reports of four formals that seemed to get completely out of control. There were two incidents at Miami University, (incident 1, incident 2), an incident at the University of Dayton, and one at Ohio University. The reports of the happenings at these events are staggering. When I was an undergraduate, I attended formals. I drank at those formals, and I witnessed some crazy behavior. But nothing like what these reports describe. It serves as a reminder that our old arch-nemesis is still out there, trying to thwart our attempts at aligning Greek-letter organizations with the values they were founded upon. The nemesis is alcohol. I have no clue what to do about it. In regards to alcohol and fraternity, I am dumbfounded. Perplexed. Confused. Dismayed. I just don’t know the answer. My initial reaction is yes. I understand the philosophical reasons for lowering the drinking age, many of them promoted by The Amethyst Initiative. I do believe that 18 or 19-year old men and women should be able to claim the moniker of adulthood, which includes fighting for your country, voting for its leaders, and making big life decisions. Thus, why shouldn’t adults be able to choose to drink if they want to? I have reasons for pause, however. There is the drunk driving issue. Also, would making it legal to drink at 18 or 19 make it even more enticing for 16-17 year-olds? There are a lot of moving pieces in this issue. It's worth noting that the drinking age was once 18. We've been there before. What messages are young people hearing from advisers and higher education professionals? I understand the realism behind these comments. After all, underage drinking may be the most violated state law ever, or it runs a close second to speeding. I also understand the motivations of the speakers. Why suffer through the eye-rolling, giggles, and ignoring that comes whenever young people are told not to do something? Also, we're afraid of the "you drank in college, so why can't we?" card. However, if you really think about it, when we say those things to young audiences, we are actually giving them permission to break the law. It’s still their choice, but we, as professionals they admire and look up to, just made that choice easier for them. Are we mentors, guides, coaches or not? And what about the recent sorority formals? Sure, there was irresponsible and unsafe drinking at those events. But every irresponsible drinker started with one drink. And that irresponsible drinker might have attended an educational session at which the presenter essentially said that that one drink is okay – even if he or she is underage. Is our reticence to take a strong stance on underage drinking actually helping it become a norm? What’s worth more, our risk management and social policies or the paper that they are printed on? I terms of changing behavior, the volumes of policies regarding alcohol that we (and billions of lawyers) have developed over the years have been worthless. The problem is as bad as ever – and potentially worse. These policies may serve as a protection against lawsuits, but that’s about it. There may be a few exceptions that we can count on one hand, but generally speaking, nobody uses guest lists and nobody uses BYOB. I admire the attempt, but we have to admit that it’s not working. Perhaps it’s time for a new approach. Again – I’ll be honest – I don’t know what that new approach should be. I do know this: you could throw away almost every risk management policy we have right now, and nothing would be different. Are we increasingly inheriting this problem from secondary education? Is there any effect when undergrads see their campus or headquarters staff boozing it up in Facebook pics? Or, when they hear about them boozing it up at their professional conferences? Will this issue ever be solved if it isn’t owned in equal measure by both men’s and women’s organizations? My thoughts will continue to evolve on this issue. I’m more interested in yours. What do you think is the solution for the alcohol issue in today’s fraternities and sororities?